We head north this Friday. But first in the morning GDub and I go to SF to pick up the van from Bandago.com. A one hundred seventy inch long Sprinter will be our home away from home for 10 days. It’s more economical than driving multiple cars and it gets much better gas mileage than other vans. 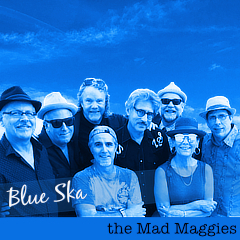 Please tell your friends in Redding that the Mad Ms are coming! 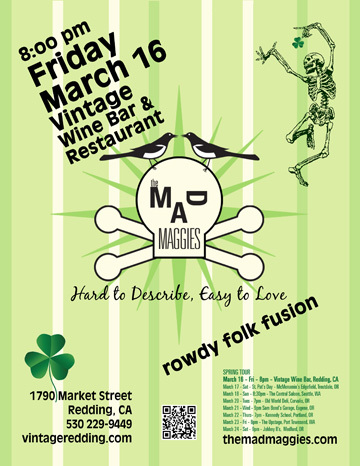 bandago, live music, Redding, Saint Patrick, spring 2012 tour, Vintage WIne Bar.